Last weekend, during President’s Day Weekend, my family and I went to Washington D.C.
I’ve seen most of the tourist spots between my ten day stay in Baltimore/Washington D.C. through LeadAmerica’s Law and Trial Advocacy Program back in 2005. What I hadn’t seen then and really wanted to see was the Arlington National Cemetery [mostly for the eternal flame at JFK’s grave site], but I did get to experience that a few years back with my parents and brother. At that time, my other brother, Faraz, was residing in Canada. He wanted to do a weekend in D.C. and see some of the things he hadn’t seen before. As a family, we’ve seen some of the popular sites: last trip a few years back we did the tour of the Capitol, went to the Supreme Court, amongst a few other things. But there’s just something about Arlington National Cemetery. Second time around, it was just as neat to see. The eternal flame at JFK’s grave site is something everyone should see, that’s for sure. The Tomb of the Unknown is another part that is a must-see — I talk more of that back in this post. Other highlights from that day: watching “Journey to the Stars” at the Planetarium in the Air and Space Museum and the Washington Monument. We ended day one in D.C. with visiting the Martin Luther King, Jr. Memorial before heading back to Virginia for the night to spend time with the family. Day Two: We started our second day off with walking through the Vietnam War Memorial on our way to visiting the Lincoln Memorial. What I hadn’t seen before this trip: the Newseum. We rounded off the trip with visiting the Newseum — which was probably one of the main reasons we all wanted to go to Washington D.C. this time around. We spent several hours going through the six floors, but could definitely spend more time going through it more in detail. It’s absolutely amazing, and something everyone needs to see. While most things in Washington D.C. are free of charge, the entrance fee for the Newseum, I’d say, is well worth the money. The best part is that the entrance fee is valid for two consecutive days… so well worth it for those who can spend the time. You won’t regret it. I think it’s no surprise how much I love tilapia. I’ve sautéed it, grilled it, fried it, baked it. What I hadn’t done yet: bake it with a breaded crust. Let me tell you, it turned out moist, flaky, full of flavor, and absolutely delicious. I don’t know what it is about bread crumbs, but the flavored of the added seasoning and spices become more apparent with it. 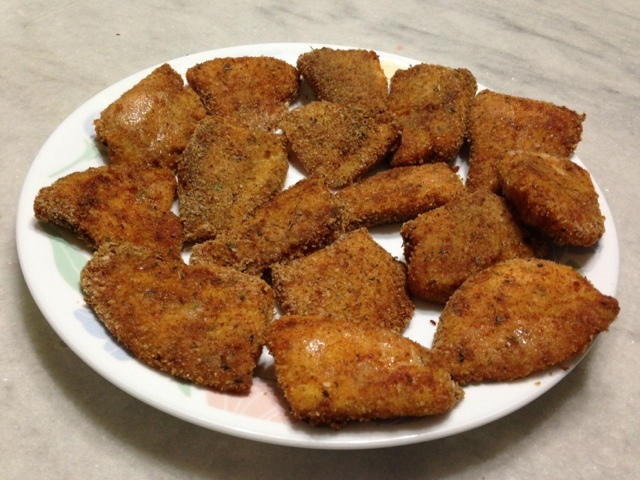 I quartered each tilapia fillet [you could certainly just halve it or even leave each piece whole]. Then, I marinated the tilapia fillets with my usual salt, pepper, paprika, cayenne pepper, garlic, ginger, chili powder, and lemon juice. No eggs, no flour, and no oil. I ran each piece of the tilapia through [Italian-seasoned] bread crumbs, transferring each piece on to a foil-lined baking tray. When you have breaded all the pieces, and lined them on your tray: spray a layer of non-stick cooking spray over them. Transfer them into your preheated oven for about fifteen minutes initially. Then, take them out, flip all of your tilapia fillets over. Spray the second side with non-stick cooking spray, and put them back in the oven for another 7-10 minutes. The end result is spectacular, and so easy! I served it with homemade spinach and cheese swirls [recipe to come soon! ], mashed potatoes, corn and peas. Other suggestions: my baked fries, biscuits [this or this one for example], or of course rice if you would like. Melt a bag of chocolate chips on low heat. Do it on low heat, and constantly stir. In my opinion, this is the best way to not overheat the chocolate… and constantly stirring helps along the way. Remove from the heat. Add about 3 to 3 and 1/2 cups (eye-ball it) of peanuts to the melted chocolate. Stir it really well, until all the peanuts are coated. If it seems like there is too much chocolate [like there is such a thing!] for the amount of peanuts you have, simply add more peanuts! Line a baking sheet (or whatever you want to use… It’s not being baked) with parchment paper. 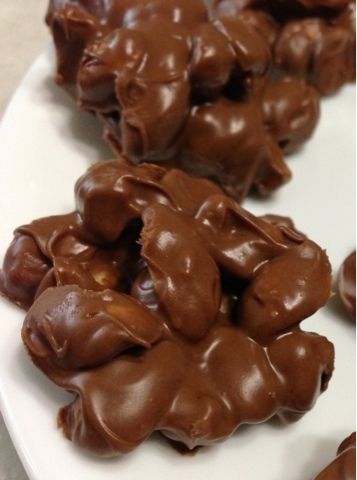 Drop clusters of your peanut and chocolate mixture with a teaspoon onto the lined pan. Then, simply let it set. You can put it in the refrigerator to quicken the process, but I just let it sit in room temperature for about 1-2 hours. The above amount made 43 clusters for me. 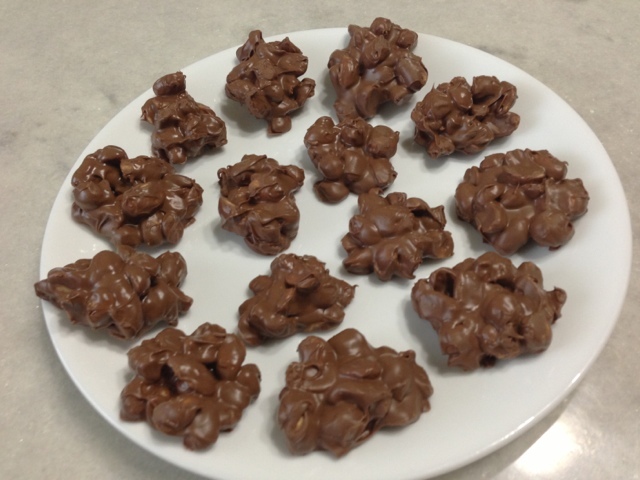 This time, I used milk chocolate chips and unsalted peanuts… mainly because that’s what I had at home at the moment. In the future, if I plan to make this for guests, I’ll probably make two batches: one with white chocolate chips. I think the contrast would make the presentation that much sweeter. 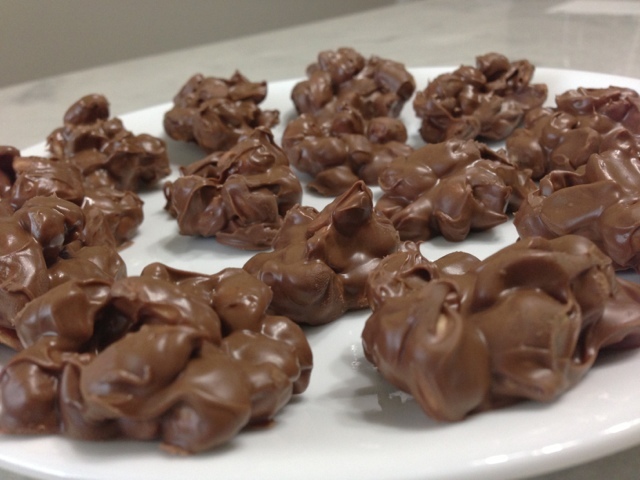 Or perhaps drizzle melted white chocolate over the milk chocolate clusters and/or drizzle melted milk chocolate over the white chocolate clusters? Can’t go wrong with it. Tip: these would be a great thing to package in individual, let’s say, cellophane bags as take-home sweets at the end of a party, as a favor, or even in a larger quantity as a homemade present for someone. Who doesn’t love chocolate? I apparently have more of a sweet tooth than I thought, considering the amount of desserts I’ve been making lately. I found a recipe online for it, and played around with it to my liking. The amount of butter in this scares me, however, so next time I’ll definitely play around with the amount of butter as well and work on lowering that. Again, these bars are sweet, so I’d recommend cutting them into tiny pieces. I cut mine into 40 bars today (8 by 5’s), but next time I’ll probably cut each of those bars diagonally as well [to get 80 small triangles]. A small piece goes a long way. First things first: preheat your oven to 350 degrees. 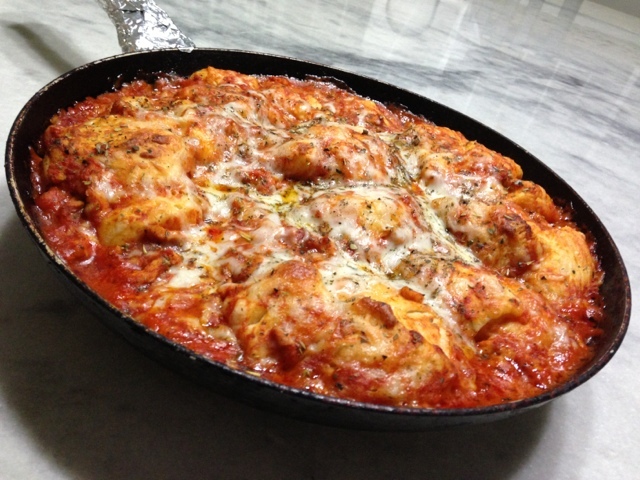 Take a 13×9-inch [oven-safe] pan, spray it with non-stick cooking spray and then line it with parchment. This will help tremendously with the clean-up process, as well as easily removing the bars once they are cooled and cut. In a large mixing bowl, combine your flour and brown sugar. Then, cut in your chilled butter until mixture resembles coarse crumbs [can be done with a fork, but will take more of an effort plus time]. In a separate [smaller] bowl, mix together your egg and vanilla extract. Add egg mixture to flour mixture and stir everything nicely to combine. 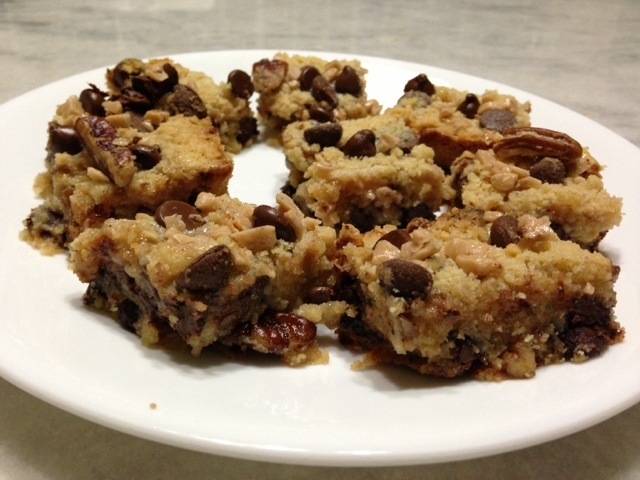 Mix in 1 and 1/2 cups chocolate chips (reserve 1/2 cup) and your 1 cup of pecans. Reserve 1 and 1/2 cups of the crumb mixture. 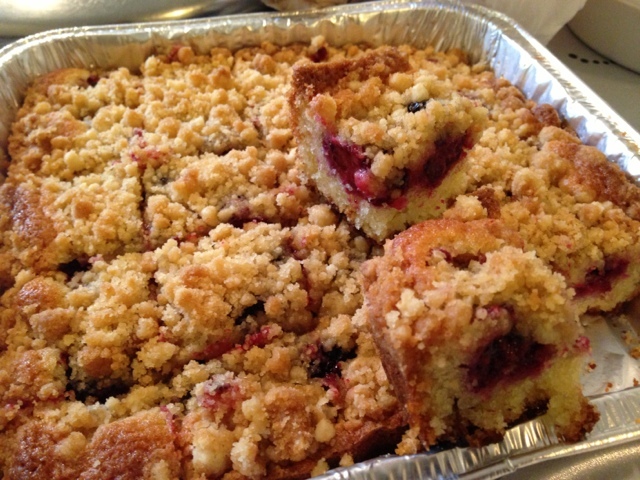 Take the remainder of the crumb mixture, and press it into the bottom of the [oven-safe] pan. Bake it in your preheated oven for 10 minutes. Remove from your oven and pour your can of sweetened condensed milk immediately over the hot crust. Make sure to spread the condensed milk evenly, making sure the whole surface area is covered. Reserving 1/4 cup of your toffee bits, evenly sprinkle the remaining 3/4 cup of your toffee bits over sweetened condensed milk. Next, evenly sprinkle the rest of crumb mixture that you set aside earlier. Finally, sprinkle the remaining 1/2 cup of chocolate chips. Bake for 25-30 minutes or until it is golden brown. Immediately after you remove it from the oven, sprinkle the rest of your toffee bits on top. Then the hardest part: allow it to cool completely before cutting. Easily makes 40 nice sized bars. Over the last year, that is, by far, the number one question people have asked me. Gee, really?! Thanks. I hadn’t noticed. Worst, by far: “how much weight did you lose”? By the way, WHY isn’t “how much weight have you lost” considered as bad as asking someone their weight? Pretty similar, don’t you think? Actually, I don’t know which one is worse. What exactly do you plan to do with that information? And if my answer is just simply “a lot” [each time you ask], here’s a hint: I don’t plan on telling you the numerical value. Just saying. Why do people, females especially, want to be thin/skinny so badly? Why not healthy (or healthier at least)? And no, they aren’t interchangeable. Anyways, I am not sure how much is attributed to the year I’ve had, and how much is attributable to what I have done personally… but I’ll leave you with some healthier tips that I have established for myself and have implemented regularly. At the end of the day, it is truly about living a healthier lifestyle — not weight loss. I honestly and firmly stand behind the fact that I haven’t done anything this past year with the mindset to lose weight: the changes I have implemented are to be healthier overall. I have decided to make the best of a situation and be more positive in the things I can control [and learn to let go of things I can’t]. Diets don’t work. At least not for me. I’ve never tried, and don’t plan on it. I don’t think I know anyone who could honestly say that they were giving up something for good and it didn’t bother them (or tempt them). If I decided I could no longer have something, I’d probably last five minutes. If that. Honestly, the only thing I have given up is soda. And not for dieting purposes. Instead, again, it’s for health purposes. At first, it wasn’t even on purpose: it had been several months (two I think) when I realized I hadn’t had any soda (or at least very little of it) and didn’t even miss it/want it. I decided to see how long I could last without it, and it’s been a long while. The last time I had even a sip of soda was early April 2012, but even for months before that it was sparse (I’d say November 2011 is when I stopped drinking soda as much). I don’t miss it, crave it or anything like that. I would honestly much rather have water as my choice of beverage: whether at home, someone else’s house, out for dinner, parties, etc. What works is moderation. Eat what you want, but do portion control. Serving sizes are key. That dessert you are eyeing and can’t keep your mind off of? Take a bite. Nothing tastes as good as that first bite anyways. At the same time, make sure you are eating enough is also key! If you asked my family or me, you’d probably be surprised to find out that I probably eat more [and more regularly] now than before. Eat breakfast. I can’t stress how much of a difference that makes. I was never a morning eater, because my stomach couldn’t handle and/or didn’t appreciate food so early. Well, just like everything else, you get used to it. I am not telling you to eat a huge meal by any means. But eat something. Anything. For me, a cereal bar goes a long way. Fruits are another great choice. Ironically, skipping breakfast usually leads to over-eating for the rest of the day (and especially that first meal you do end up having that day). Eat smaller, but more frequently, meals. And no, that doesn’t mean have a dinner size meal throughout the day. It means space out your meals throughout the day, so you aren’t eating too much at once and then going for hours without anything to eat in between. Eat an early dinner. It’s good for your digestive system, I’ve read, if you eat at least 3-4 hours before you sleep… or something like that. Basically, the point is to give yourself time to digest. Your stomach will thank you for it. Choose healthier snacks. And meals for that matter. Healthy meals that are good for you don’t have to be boring or taste bad. Make it fun. Healthy snacks options: nuts, popcorn, fruits. Instead of chips (for which I can’t even remember the last time I had any) and cookies, I “indulge” in popcorn. And chocolate (but more on that later). I also try to eat some fruit daily. In the form of pomegranates when I can find it in season, along with guavas occasionally. Otherwise, I like strawberries, blackberries, and watermelons as well. Apples and pears are also great and very filling. Comparatively: one serving of Lays Classic Potato Chips, let’s say, has 160 calories (one serving equals 15 chips). 3 cups of Herr’s popcorn, which is what is listed as a serving size, has 150 calories. I’d say even just 2 cups of popcorn is a great portion to eat. I don’t think anyone would be able to eat just 15 pieces of chips. Both have a lot of sodium, but calories wise, popcorn is the winner. Healthy meal options: lean meats, and light salads are a great choice [rather than rice and red meat]. I have a few recipes as suggestions that I have shared on my blog earlier: tilapia, baked shrimp (or sauteed), grilled chicken pita pockets. Eating healthier by no means should make you feel like you are giving up something. I’ve always preferred lean and boneless chicken, in fact, and probably consume red meat just a hand full of times in a year [if even that]. Another thing: grilled over fried. I’ve always loved grilled food (and lighter food in general), but I also loved my share of fried food. Nowadays, I tend to stay away from fried, greasy, food. Again, not because of any diet, but because of the healthier lifestyle factor. Again, I haven’t given up fried food — I just limit it (to french fries, for the most part, alongside a meal when I go out to eat). Moderation. Am I never going to have fried food again? I wouldn’t last. Am I going to make it a habit? Absolutely not. Along the same lines, I choose non-stick spray over oil and/or butter. I am not saying that the non-stick sprays are “healthy”, just that they are a better choice. I’ve even read to use chicken broth instead of oil and butter, but haven’t implemented that myself so can’t say much about that. Previously, my issue always had been no breakfast, snacking all day, and then not eating proper meals. I have learned to use that to my advantage now by making healthier choices and spacing them apart throughout the day. Now, I make a conscious effort to eat the cereal bar for breakfast soon after I wake up. I also eat dinner at 5 PM. I try not to eat anything (heavy) after that. For a long while, I had nothing after dinner at 5 PM. But I’ve made a conscious effort to start drinking [chocolate] milk lately so I usually have that about an hour after dinner. Sometimes, rarely though, I’ll have fruits around 7 or 8. Stop mindless eating. Eat when you are hungry. As in don’t grab a bag of chips and eat in front of the television. Take a portion size/serving size out in a bowl and eat from that. This way, you know how much you are eating. Does this mean I eat healthy all the time? Are you kidding me?! I have chocolate pretty much EVERY day. When I said I couldn’t give up anything, I meant it. MOVE! I am sure exercising regularly goes a long way, but I am writing here about what I did/am doing. And exercise sure isn’t one of them. I don’t know about you, but I am not a gym person and couldn’t exercise regularly if my life depended on it. What works for me: walking. Especially after eating, I like to take a walk. Walk in the morning, during your lunch break, or at night… or walk inside your own home, if that is what it comes down to, which I what do mostly everyday. Drink water. Lots of it. The recommended 8 glasses of water per day? Drink that. At the very least! I always (and I mean ALWAYS) have a bottle of water with me. It’s my go-to beverage choice at all times. Nothing quenches your thirst like water anyways. To each their own, of course. Everyone is different, and thus there bodies are different. What worked for me, may not work so well for you. “How did you do it?”: I am not sure if there is a magical answer or shortcuts people are looking for when they ask me that… because there is none. Anyways, this is a long post, but it’s a compilation of what is working for me. At the end of the day, it really is a lifestyle change that makes a difference. I didn’t wake up one day with the mind-sight to lose weight, although it’s been an added benefit, I suppose? It’s not about what you do and don’t do just for now to see a difference. It really is about the long run. Otherwise, you’ll end up yo-yo dieting for the rest of your life. It’s making better choices for yourself and your health, not just simply for the number on the scale. This healthier lifestyle? I don’t let things get in the way of that for the most part. Which means I plan ahead if I will be away from home or other things may interfere. Setting a schedule, and following through with it regularly, is key. I’d love to hear your tips and recommendations as well. Can’t make this stuff up. Not if I tried. Not that I would need to, I seem to have people humor me all the time. Like this one. Can’t forget this one either. Common sense. Not very common at all, now is it? Someone was asking for my email. So to make things easier, I told them “it’s my first name…” [like I always do!]. With some extra Instant Pudding Mixes/Pie filling boxes at home that I wanted to use up, a few weeks ago, I made a simple and easy delicious that would be good to serve guests as well. It’s simple to put together, tastes delicious… but I’d make it the day before you plan on serving it. Typically, I am all about quick and easy (no waiting)… but I loved how great it turned out after being refrigerated overnight. If not overnight, at least for 4-6 hours. Two flavors (of your choice) of Instant Pudding Mixes/Pie filling (that work well together). I used vanilla and chocolate. First, make each of the pudding mixes as directed on the box. Most call for just mixing the pudding mixes with milk, and letting it set for about five minutes. In a tray/dish/baking sheet [whatever you are using], line the bottom with graham crackers. The thickness of the end result will just depend on what you use to put it together in. If you use a regular size foil tray, it’ll be thicker. If you use a 9×13 dish, it’ll obviously be a little thinner. No big deal. All that matters is that it tastes great. Once the pudding mixes have individually set, add about a cup or so of cool whip/whipping cream to each of the pudding mixes and fold it together. Back to your tray/dish. On top of the layer of graham crackers you put, pour over one of your pudding mixtures. For me, I put the chocolate one at the bottom. On top of your pudding mixture, add another layer of graham crackers. Then, pour over your second layer of pudding. Refrigerate overnight (for best results)… or at least 4-6 hours. If you wanted to, or if you wanted to serve this for guests and for visual purposes, you could add more alternating layers. Instead of pouring over all of the pudding mixture at once for your layer, divide them. For example: do half a layer of chocolate, graham crackers, half a layer of vanilla, graham crackers, more chocolate, graham crackers, and more vanilla on top. When I was eating it, I thought to myself that the next time I make this, I’d probably garnish with chocolate shavings or something like on top [for a nice contrast of color]. I didn’t post a picture because from the top, you can’t see the different layers. As soon as I took out a serving, it was hard to showcase the different layers. But whatever: it was delicious. And that’s all that matters. I can honestly say that dinner usually turns out best when I’m under a time crunch and/or don’t plan on making anything that day. This night, it was like around 4 PM, and my mom asked “are you making something tonight?”. I guess I was now. This Bubble-up Pizza is what was the end result. I had this image in my head for quite a while after I saw something similar online somewhere. I, of course, made changes to it, and made it my own. I ended up making two that night. I’d say one pan/skillet feeds 4 people perfectly (I was cooking for six). 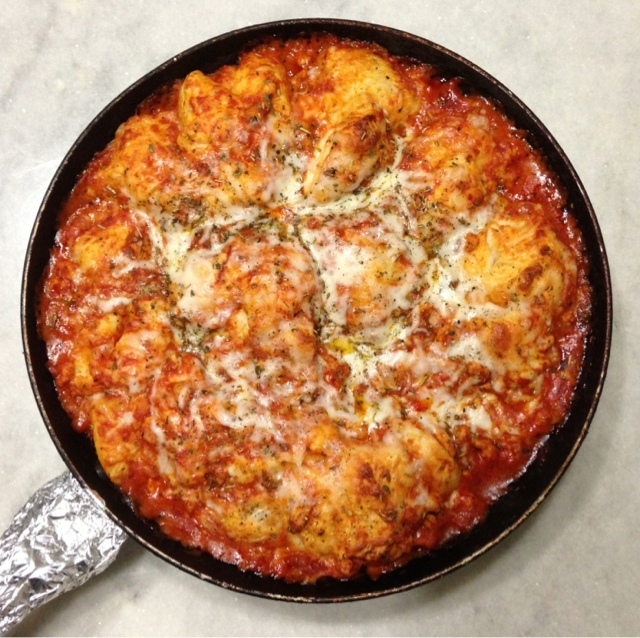 The one in the pictures is of the Chicken Pizza version. The second one I made: I kept it as a plain cheese one, I guess you could say. Preheat your oven to 350 degrees (or whatever temperature the biscuit container says to bake it at). For the chicken: take the chicken and cut them into very tiny pieces. Season with salt, pepper, paprika, garlic, cayenne pepper, chili powder, red pepper flakes, and italian seasoning. Cook on low heat, with minimal amount of oil. Because the chicken is cut into such tiny pieces, it will cook really fast. The store-bought biscuit can? Take the twelve biscuit dough pieces, and quarter each one of them. In a mixing bowl, to your quartered dough pieces, add in a jar of marinara sauce, about a 1 cup and a half cup (approximately) of mozzarella cheese. Mix well. Add in your cooked chicken to your dough/sauce/cheese mixture. Combine everything together. At this point, transfer it into your skillet/pan/baking sheet (whatever you will bake it in). Sprinkle the top with another half cup of mozzarella cheese and italian seasoning on top of that [and more red pepper flakes if you would like]. Bake in your pre-heated oven, for about 25-30 minutes. Just poke it lightly and check if the biscuits are done. Serve these warm and fresh! I mixed the sauce, cheese, and quartered-up biscuits pieces with red pepper flakes and italian seasoning. I sprinkled about (approximately) another half cup of cheese on top, along with more red pepper flakes and italian seasoning. The second one was a little spicier (with more red pepper flakes) and the biscuits themselves had italian seasoning on them this time, rather than just being in the chicken and sprinked on top at the end like in the first one. Tip: I wasn’t sure if the handles of my skillet were oven-proof, so I covered them completely with foil (as evident in the pictures).